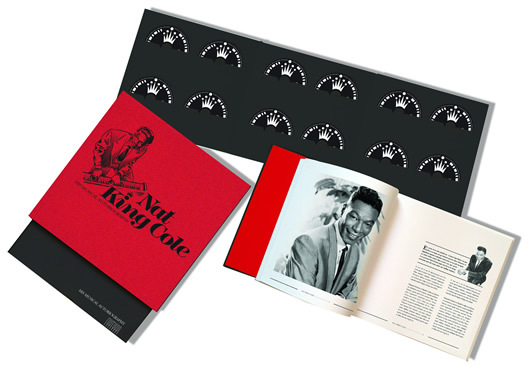 Entitled Nat King Cole: His Musical Autobiography, it is a glorious career retrospective containing 262 tracks from 1939 - 1965 over 10 CDs including all of his signature songs, a disc of rare and unreleased recordings and a disc featuring his legendary Live At The Philharmonic appearances from 1944, a landmark in the history of jazz. Housed in a deluxe clamshell box, the set will also feature two DVDs, the first featuring the unreleased 1963 Australian TV Special The Mobil Limb Show and the second featuring the acclaimed 2014 documentary Nat King Cole: Afraid Of The Dark as well as an 88 page book by respected author and musicologist Richard Havers, which is illustrated with rare and unseen photos of Nat at work and play and includes his original tour scrapbook. Nat King Cole was born Nathaniel Adams Coles in Montgomery, Alabama in the Deep South of the US on March 17, 1919 in a society riven with racial prejudice and went on to become the first black TV star in America. As a child he sang in church where his father was a preacher and from a very early age he picked out tunes on the piano encouraged by his mother who played the church organ. He made his recording debut in his brother Eddie's band in 1936 and his improvisational skills can be heard in his earliest recordings with the King Cole's Swingsters in '39 but his reputation started to grow exponentially when he stepped up to the mike and unleashed that velvet baritone on an unsuspecting world. Cole went on to work with some of the great songwriters and arrangers of the 40s and 50s including Billy May, Gordon Jenkins and Nelson Riddle, and his flawless warm phrasing ensured that he had more than 100 hit records and charted more than two dozen albums in his era-defining career. Though his voice made him one of the most recognizable singers in history alongside Sinatra, Crosby and Dean Martin, Cole was modest about his gift, saying "I'm a musician at heart. I know I'm not really a singer. I couldn't compete with real singers. But I sing because the public buys it." Cole died tragically too soon of lung cancer in 1965 but left behind a catalogue of music that stands shoulder to shoulder with any other singer of that era and continues to delight new generations of listeners to this day. 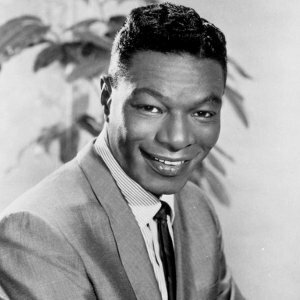 Nat King Cole was awarded a posthumous Lifetime Achievement Grammy in 1990 and was inducted into the Rock and Roll Hall Of Fame in 2000. Beautifully produced and expertly researched Nat King Cole: His Musical Autobiography runs the gamut of Cole's unique talent from his pure jazz piano stylings to his sublimely romantic ballads and is a joy for anyone whose interest in Cole stretches beyond the pop hits that made him famous.